Supercell’s MOBA-esque shooter Brawl Stars is now available on Android in select countries. The FInnish developer teased the announcement this week with an image showing a shadow in the shape of the Android mascot. Now a video reveal has confirmed the release on Android. Brawl Stars is available on Google Play and iOS in Canada, Finland, Sweden, Norway, Denmark, Ireland, Hong Kong, Macau, Malaysia and Singapore. 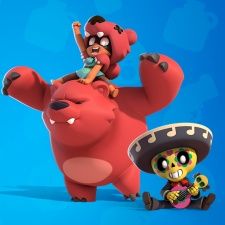 As we previously speculated, the move could be a positive sign that Brawl Stars is gearing up for a global release after a year in soft launch. The title has floundered somewhat in recent times on the App Store top grossing rankings in its soft launch countries, dropping out the top 100 in certain markets. But during this soft launch phase Supercell may be looking at other indicators to judge its potential, particularly given its apparent esports focus. For a full release, you can also expect Supercell's full marketing might behind the game.